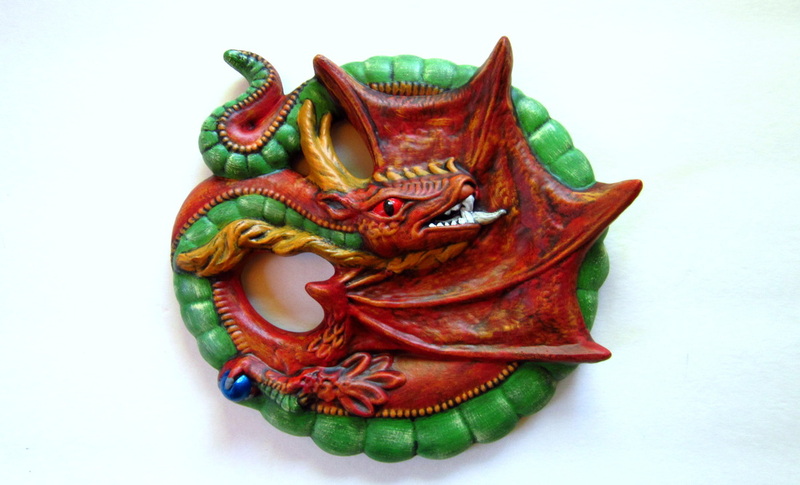 Decorate with a little bit of fantasy-style with this red dragon wall plaque. This plaque features an eye catching red dragon. The dragon is gripping a "magic" shiny ball in its talons. Also great for gifts or decor for theme parties and events such as Halloween. 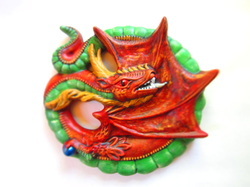 Hand-painted with assorted colours available, please specify if you have a colour preference. 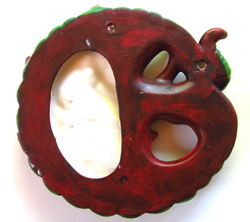 A matte finish is applied so that the piece can be cleaned easily with water or diluted cleaner. The eyes have a touch of gloss to provide a wet realistic look. 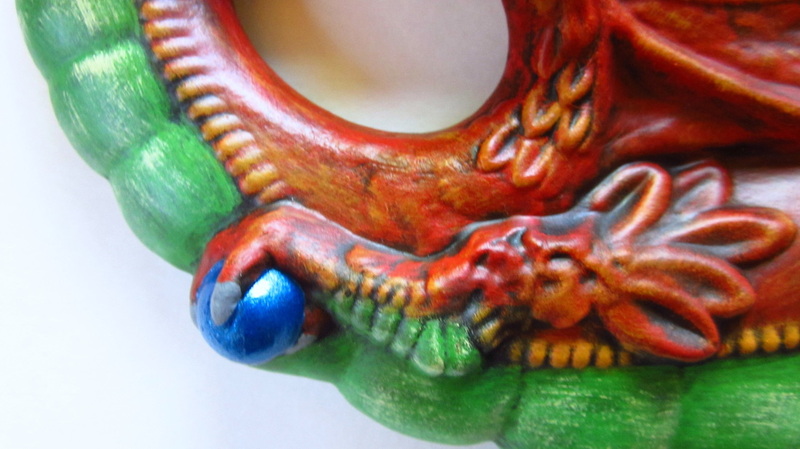 The "magic" ball is made with brilliant metallic paints.